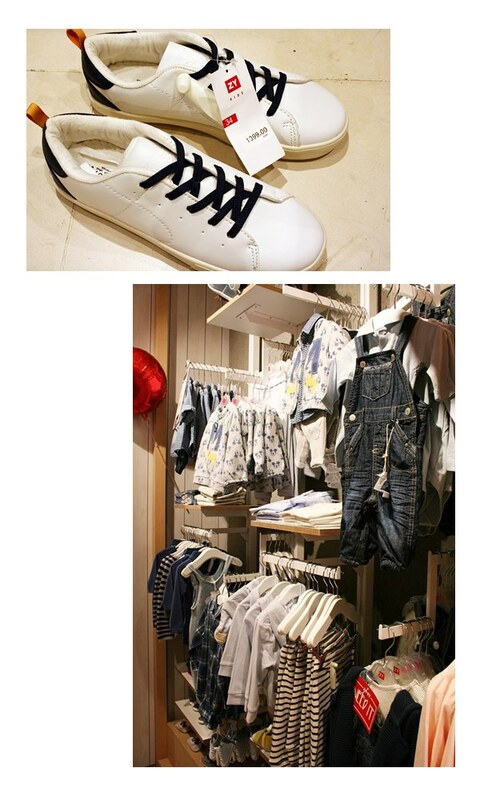 Zippy store in Glorietta 3 is the first one in Asia! The brand is by the Portuguese retail company Sonae Group. The brand has been around since 2004, and currently has branches in 40 countries. Here's what I like about this brand: the clothes are thoughtfully designed for mixing and matching. Whatever pair you get from the line will come out cool! Less effort for the parents, really. You can easily build a solid wardrobe for your kids. Secondly, the price points are great! Basic plain tees retails at PhP 179! I got some boys plain tees for me. The fit is good and they're soft hence the buy. Zippy's prices are relative to the quality of the product. Somebody buy those kicks above for their boy because they don't fit my kids anymore. My eldest son's shoe size is 12 and the other one is 9.5! They're too small for me, too. Love the extra cushion on the heel collar. By the way, Zippy caters to girls and boys ages 0-14 years old. Baby dungarees and patent mary janes! These cute clothes make me want to adopt a baby girl, I swear. Actually, I have that pang every time I see cute baby girl clothes. The feeling instantly goes away when I think about sleepless nights, colic, and teething. Moving along.. The character tees retails for PhP 659. I like, like, like the striped sweater on the left. Those at the lower bunk are the plain tees I mentioned a while ago. Plain collared shirts are also available. I'm going back for some more joggers, tees, and casual skinnies! A second brand is on the works! It'll be at SM North EDSA.